Our newest case study shows how WiredTree uses LiteSpeed Web Server to save their users from having to upgrade their hardware. This study follows WiredTree’s implementation of LSWS for a new customer — eTeknix.com, a popular tech hardware review site. eTeknix.com was experiencing load spikes that caused intolerable slowdowns for their pages. After trying other fixes, WiredTree offered to switch eTeknix.com to LiteSpeed Web Server to control the spikes and prevent them from having to move to a bigger server. This is standard protocol for WiredTree — they try optimization, then, before they move a customer to a bigger plan, they offer to try LSWS. Switching to LiteSpeed is cheaper than upgrading hardware and WiredTree is serious about saving their customers money. 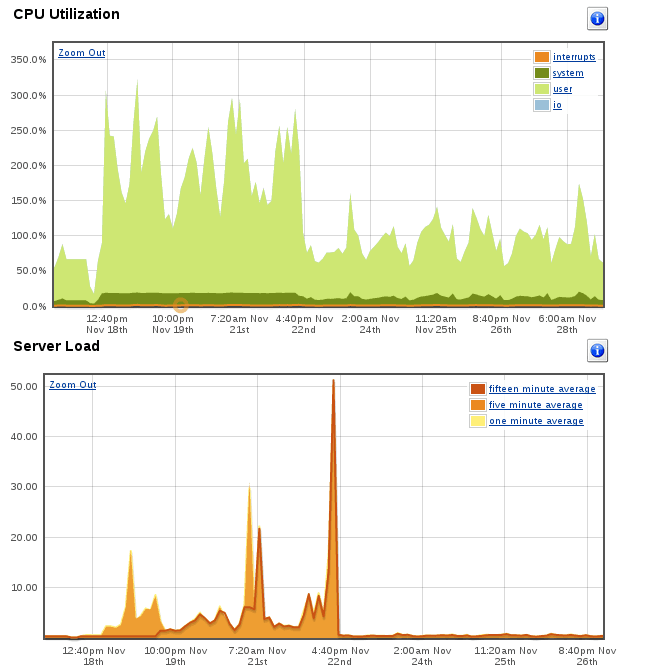 Installing LSWS cut the load spikes that were causing the server trouble and made the site load 4x faster on average. Here’s the full version of the case study so you can see the results for yourself. We hear this a lot when talking with our resellers — LiteSpeed Web Server helps them save customers’ money. LSWS delivers better performance without their customers requiring more hardware or having to spend money on expensive code optimization. Our resellers know: often LSWS does not cost extra, LSWS saves money. We’re always looking for more cases showing the benefits LiteSpeed Web Server brings. We prefer cases that have statistics from both before and after switching to LiteSpeed to show the difference LSWS makes. We understand, though, that this is not always possible. We’re especially looking for a shared hosting provider who can show the world how LSWS has helped them increase profits by increasing the number of users on each server while improving performance and stability. If you have a LiteSpeed story that you want to share, please get in touch.